Dr. Robert A. Shumway, MD, FACS of SHUMWAY COSMETIC SURGERY in La Jolla, California Specializes in Facial Cosmetic Surgery, Cosmetic Breast Surgery & Aesthetic Surgery of the Body & Extremities: TUBA, Silicone Breast Augmentation, Mastopexy, Abdominoplasty, Mommy Make-Overs, Laser-Liposuction, Laser Face Peels, Rhinoplasty, Facelift, Blepharoplasty, Otoplasty, All Injectables & Botox/Dysport/Xeomin/Myobloc. Shumway Cosmetic Surgery is a full-service Cosmetic Surgery Practice & Dr. Shumway is the 2016-17 President of the American Academy of Cosmetic Surgery who has been practicing Cosmetic Surgery for over two decades after completing two Fellowships in Cosmetic Surgery & Facial Plastic Surgery. He is the Past-President of the American Society of Cosmetic Breast Surgery & the Past-President of the California Academy of Cosmetic Surgery. Shumway Cosmetic Surgery of La Jolla, California includes American Academy of Cosmetic Surgery Fellows, Surgical RNs, Surgical Residents, Medical Students, Aestheticians, Surgical Technicians, Patient Care Coordinators, Front Office Professionals, Practice Managers, Medical &Surgical Administrators, and Back Office Personnel!! Shumway Cosmetic Surgery is a Joint Commission gold-seal certified surgical & medical facility centrally located upon the Scripps Memorial Hospital campus of La Jolla, California. Shumway Cosmetic Surgery has been solely dedicated to the art & science of Cosmetic Surgery since 1994 and continues to exert innovative advances in Cosmetic Surgery around the world. Many different payment types & Financing OPTIONS including Care Credit, MySurgicalLoan.com, Point Loma Credit Union, Reliance Medical Finance, MedicalFinansing.com, UnitedMedicalCredit.com, etc. 2015 President-Elect of American Academy of Cosmetic Surgery (AACS). Trustee & Diplomate American Board of Cosmetic Surgery with CAQ in Body, Breast & Extremity and certification in Facial Cosmetic Surgery. Trustee & Fellow American Academy of Cosmetic Surgery. Trustee & Immediate Past-President California Academy of Cosmetic Surgery. Trustee & Past President American Society of Cosmetic Breast Surgery. Diplomate American Board of Facial Plastic & Reconstructive Surgery. Fellow American College of Surgeons. Fellow & Faculty American Academy of Facial Plastic & Reconstructive Surgery. Fellow & Lecturer American Society for Laser Medicine & Surgery. Faculty Mexican Academy of Cosmetic Surgery. Diplomate American Board Otolaryngology Head & Neck Surgery. Past Fellow American Academy Head& Neck Surgery/Otolaryngology. Chairman American Society of Liposuction Surgery. Past Surgical Attending UCLA & UCSD. California Medical Association. American Medical Association. Author of multiple Cosmetic Surgery Textbook Chapters and many original Cosmetic Surgery articles. Editorial Board for American Journal of Cosmetic Surgery and “NEW YOU” Magazine endorsed by the American Academy of Cosmetic Surgery. Research & Master Lecture Cosmetic Surgery Film Productions. 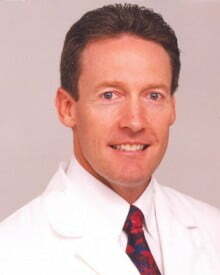 Director SHUMWAY COSMETIC SURGERY of La Jolla. After his double major, with Honors, in Chemistry & Zoology from BYU & Arizona State University, Dr. Shumway graduated with Honors & Research Accolades from the University of Arizona College of Medicine. He then finished the extremely arduous DUKE University Surgery Residency Program in General & Thoracic Surgery and Head & Neck Surgery via David C. Sabiston, Jr., MD, FACS. Thereafter, Dr. Shumway completed Research and an AAFPRS Fellowship in Facial Plastic & Reconstructive Surgery via UCLA and became Double Board Certified via the ABO & ABFPRS. Dr. Shumway also under went another 3 years of additional preceptorship training in Cosmetic Surgery, Aesthetic Laser Surgery and Cosmetic Surgical Dermatology. Dr Shumway now possesses six certifications in surgery & medicine including BioIndentical Hormone Replacement Therapy (BHRT) via Worldlink Medical. The Shumway Institute contains literally a wealth of knowledge & experience for those physicians interested in training within the specialty of Cosmetic Surgery. Dr. Shumway has taught & trained numerous surgeons from around the world for many years and is now the next President of the American Academy of Cosmetic Surgery (AACS). Author: Numerous Articles on Cosmetic Surgery & Cosmetic Surgery Textbook Chapters.